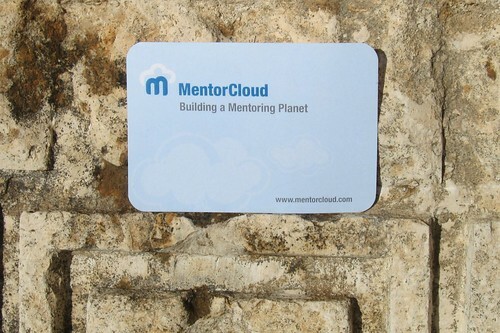 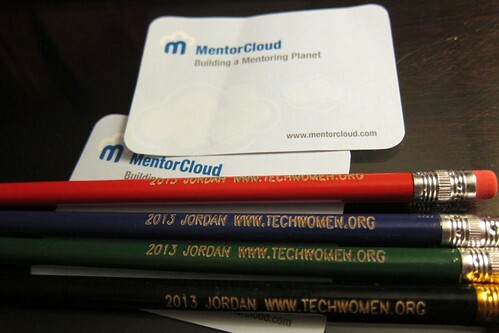 Members of the 2013 TechWomen delegation to Jordan are still arriving. 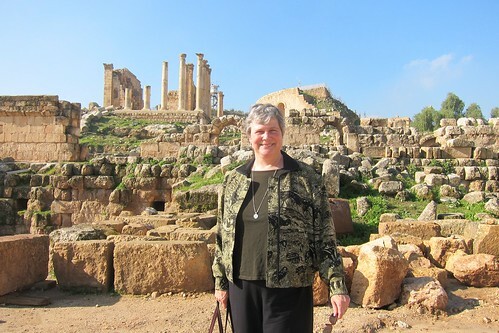 Those of us who came last night were able to tour the capital Amman and the ancient ruins at Jerash today. 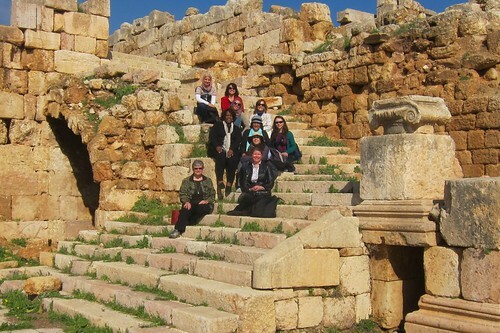 We were entertained by a local family performing music in the Roman theater. 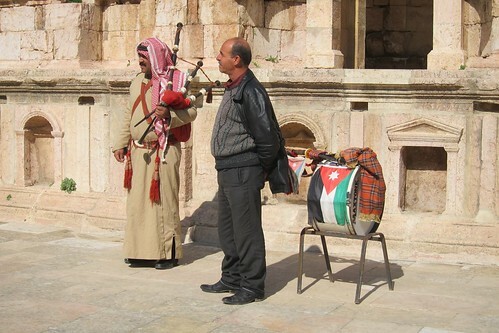 I was told that bagpipes are a traditional Palestinian instrument – although these particular instruments were a familiar Scottish plaid. 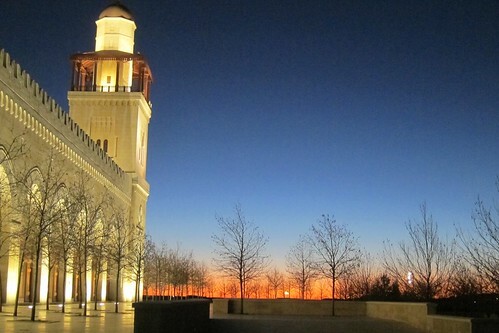 After lunch at the Royal Society for the Conservation of Nature Wild Jordan Center, we went shopping at the Al Aydi Jordan Craft Center, then visited the huge King Hussein Mosque at sunset.